Whenever Nintendo comes out with a new console, some retro arcade sticks always follow. Arcade sticks are perfect for certain kinds of games, like fighting games for instance and many of us grew up playing with arcade sticks in the arcade anyway, so we enjoy using them for other games. 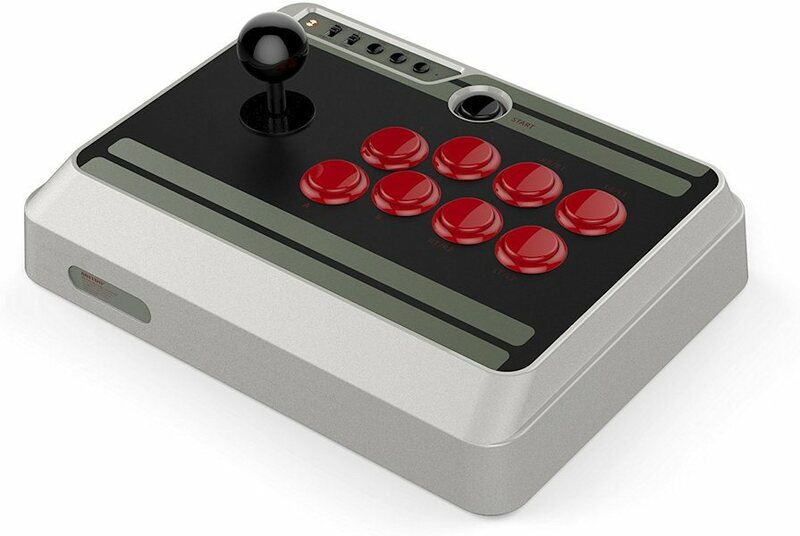 So it is no wonder that retro controller maker 8bitdo has introduced the good looking NES30 Arcade Stick. 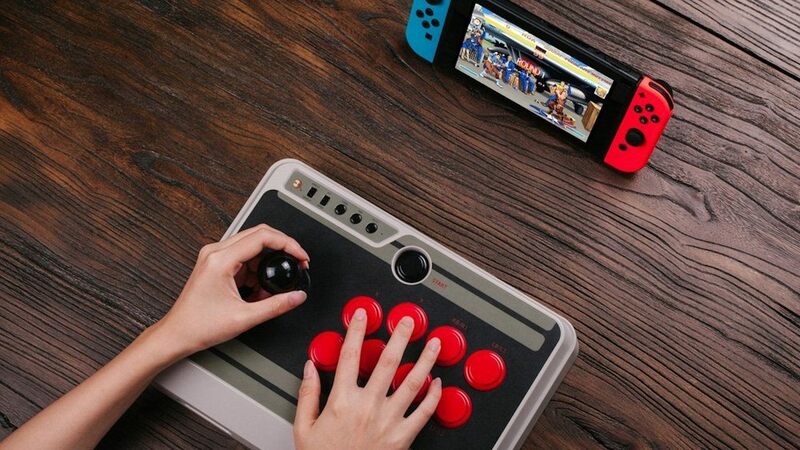 This arcade stick is a retro wireless controller with Bluetooth connectivity for wireless compatibility with the Nintendo Switch, Windows, Android, Mac and Steam. The built in battery will deliver up to 18 hours of continuous play time, so your fun doesn’t need to be interrupted. Other features include eight big red 30mm size buttons for all of those combos you need, D-Input and X-Input functionality, Turbo and d-pad/joystick modes. It is easily mod-able and customizable too. It is designed to be as versatile as possible. I like that they gave it some of Nintendo’s old school style design and good looks, along with nice rounded corners. If you take fighting games seriously, you’ll want to check this arcade stick out. You can find the 8Bitdo NES30 Arcade Stick on Amazon for $79.99. It will most certainly up your game.